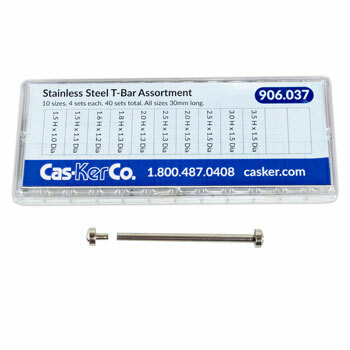 Stainless steel T-Bar assortment contains 4 sets of 10 different sizes. All T-Bars are 30mm long. 40 pieces total. T-Bar style pins for metal watch bracelet link connections.